This system allows to perform also Far-IR measurements (400-50 cm-1). 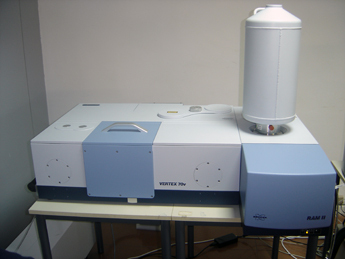 Both the sample chamber and the interpherometer work in vacuum. 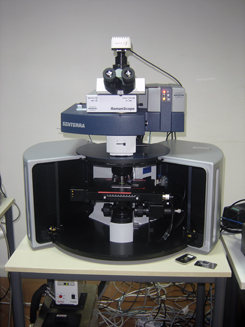 Bruker “Senterra” Raman microscope (common equipment) This instrument allows Raman dispersive and FT-Raman microscopy using 4 excitation wavelengths (532, 633, 785, 1064 nm).